Your Familiprix affiliated healthcare professionals have created an important tool to help you manage your diabetes. 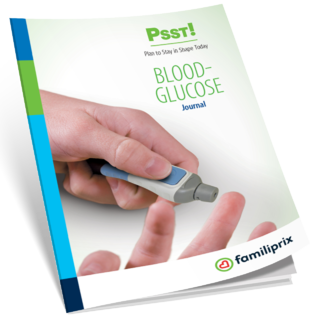 This Blood-Glucose Journal has been designed with your health in mind. Enter your blood-glucose level in the journal after each sample to see how diet and physical activity affect your readings.